As the wedding of US actor Meghan Markle to Britain’s Prince Harry Windsor nears, African American women are hopeful that opportunities in the workplace will increase. "It's exciting for black women, and I think it's going to be inspirational," Camille Newman, a 38-year-old Brooklyn entrepreneur, told the Guardian when asked about the May 19 wedding of Markle, a child of a white father and a black mother, to Prince Harry. "We're claiming her for a black woman's right to be in there like everybody else. As an entrepreneur I face so many challenges to find funding for my business. We're going to claim her and look to her for inspiration as an African American entrepreneur," she noted, cited by The Guardian. According to a 2016 report by grassroots organization Project Diane, black women receive startup and investment funding at much lower rates than white business owners. According to the study, of 10,238 venture deals between 2012-2014, only 0.2 percent of black women received funding. 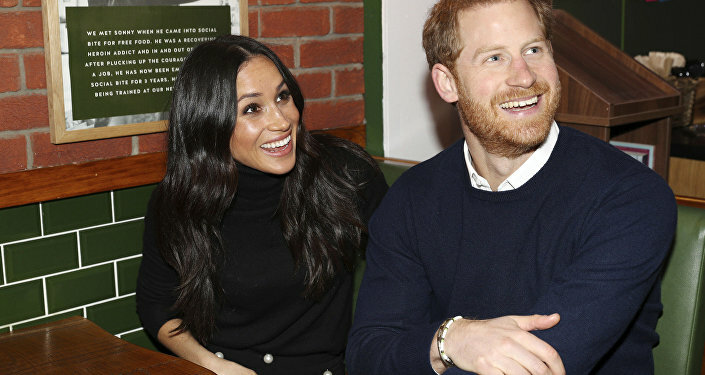 As a result, many African American women are hopeful that the acceptance of a biracial American woman into the British royal family will improve the country's diversity issues. "It's her [Markle's] race, her color, her class and it's her age. It's not just an African American woman thing, or an American thing, it's a woman thing. I think all women can be proud of her," asserted Newman. According to Maya Jasanoff, author of Liberty's Exiles, "American enthusiasm for the British monarchy is so kind of crazy and excessive because it fits into celebrity culture in general. Then, when the icons in question are non-American, the standard sorts of divisions one would expect are not as pronounced." With just one week until the wedding, Markle's alma mater, Immaculate Heart high school in east Los Angeles, is preparing to host a celebratory event on May 15 to congratulate their former student. "It's an opportunity for the school to come together and cheer our alum on. The students are all very excited," said Callie Webb, the school's communications director. Does the Queen of England Favor Meghan Markle Over Kate Middleton?